Renee Allison Webber will spend four years in prison for the sexual exploitation and trafficking of a minor. The 43-year-old mother of four was convicted in September of trafficking, sexual exploitation, advertising sexual services and receiving compensation for luring the 16-year-old victim, who cannot be identified due to her age, into prostitution. The offenses occurred over two months in late 2015 in Halifax, Moncton and Toronto. 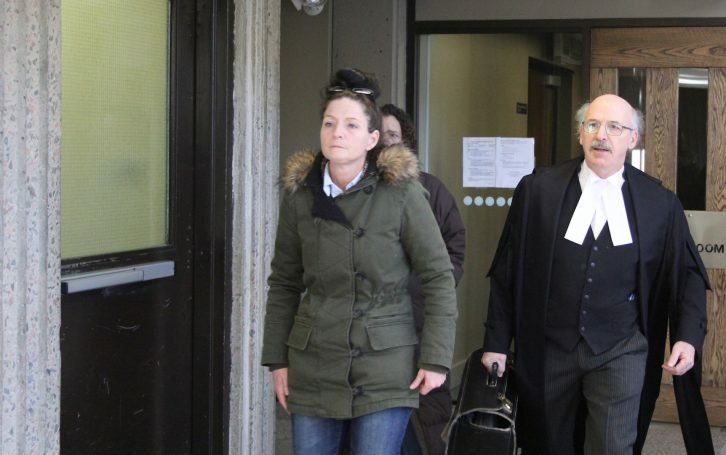 Nova Scotia Supreme Court Justice Christa Brothers sentenced Webber on Thursday to four years in prison. This is Webber’s first criminal record and first conviction. Both the Crown and defense seemed satisfied by the sentence. Defense attorney Don Murray said to a group of journalists that the four years was “very close to what we recommended.” Crown prosecutor Cory Roberts said the sentence will serve as a deterrent. “It sends a strong message to Ms. Webber and others who consider the same type of activity,” he said to reporters. Roberts also said a trial like this is extraordinarily difficult for the survivor. “You’re talking about a 16-year-old girl who went through what she did. And she testified twice in front of the person who did this to her,” he said. The mother of Webber’s victim was discouraged by the sentence. “A stronger message should have been put forward because the fact that she’s female (and) the fact that she lives in the community and is a mother herself,” said the mother to journalists. The victim’s mother had hoped for more than four years because of the extent of the crimes. “I understand she has a clear criminal record, but that doesn’t change what she did to my daughter,” she said.